As we have just had a week of Elizabeth Morgan, it seemed appropriate to post my review of Cranberry Blood. A review that has also gone to Goodreads and Amazon. Heather Ryan is a Slayer, the latest in a long line of family members dedicated to the lifelong quest of killing a particular very old vampire – Marko Pavel. If that is not complicated enough, she was also born infected with Vampire blood, a condition she manages with the help of a concoction of Cranberry juice and animal blood (hence the title). One day her life is saved by a werewolf called Brendan who claims to have been sent by her recently dead grandmother. It seems grannie had seen the need for them to be together in one of her visions, which are usually scarily accurate. Though Heather always respected her grandmother’s abilities as a seer, she finds it hard to come to terms with why she now has to put up with the irritating Brendan – what danger is he supposed to protect her from? Morgan quickly establishes a dynamic between her two main characters, one of sniping and arguments. The over protective alpha male with the snarky alpha female rebelling against his attempts to ‘save her’ is a common trope in urban fantasy but one which is presented very well here and will appeal to fans of this genre. This relationship is threaded throughout the plot, which revolves around Heather’s attempts to track down her ancient nemesis and his attempts to use her for his own ends, and adds an appropriate level of zip to an already fast paced story. In my reading of this, there was no thoughts of ‘will they/won’t they’ because it is clear from the first page Brendan appears that they will. The question is more when and how many buildings will be destroyed in the aftermath. 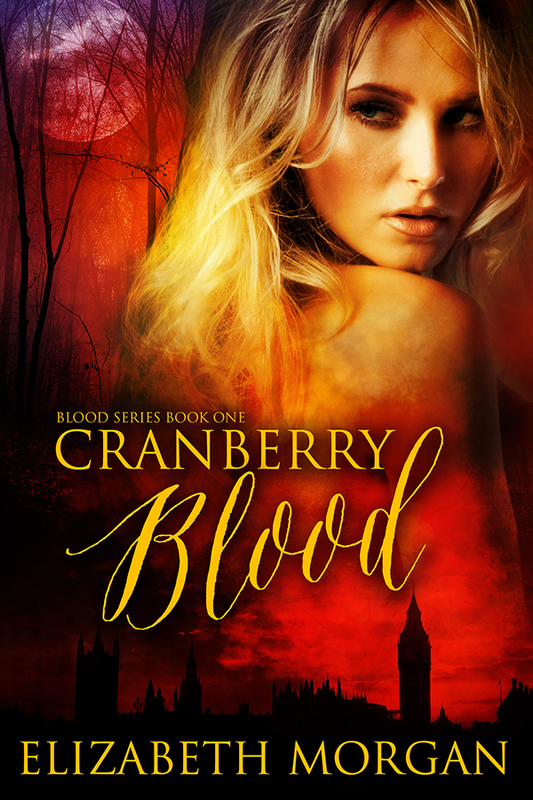 Cranberry Blood is a very British Urban Fantasy novel. Heather is an Irish girl living in London, Brendan is described as having a northern accent and it turns out his pack live in Scotland. The action moves from inner city London to the wilds of Scotland giving this more a Being Human/Dog Soldiers vibe than most US based UF. This is a refreshing change and reminds readers that the Vampire and Werewolf myths that most UF take from originate in Europe. This is played upon in the characterisation of some of the characters – the Vampires are very Eurotrash in their attitude, for example. It certainly makes for a more familiar setting to those who live in the UK than the often unreal skyscapes of New York or Chicago. This may alienate US audiences but then again it may not as there are many Anglophiles on the other side of the pond who may also be looking for something that is different to standard UF. If I have one issue with Cranberry Blood it is the concept of a Slayer. Now, I am happy with the idea of a family dedicated through many generations to killing a specific Vampire menace. It makes sense – you have to play the long game when dealing with immortal bloodsuckers and I really like the thought that has gone into this. However, I am not sure I would have gone so far as to have made that into a proper noun. Not only is there an issue of Joss Whedon potentially considering it a challenge to his IP (though not a huge one as the similarities basically end with the name and the fact this particular one is female) but I am not convinced that it really deserves that capital letter. That implies there is some official title involved when really it is a private, internal family thing. Had there been a secret underground organisation that trained multiple people to fight vampires (such as the Church order detailed in Skyla Dawn Cameron’s novel Hunter) and that organisation granted graduates of their training programme some form of official title then I’d be happy that they could be called Slayers. Using it in a family seems wrong to me. However, this is only a very minor gripe in what is basically a very well written and fascinating novel. Overall, Cranberry Blood is a novel worth taking a look at. A very fun romp through a very British urban fantasy landscape. I’d like to see more UF set in this country.